The outcome of the final vote was no surprise, as Board members spoke in favor of the plan at their work session last week. Board members Wayne Bagley, Tim Burgess and Amy Parrish did state their reasons for supporting the plan before the formal vote, saying it was the best solution available. Under the approved plan, students living northwest of U.S. 78 will attend the new Dove Creek Elementary now under construction on Hog Mountain Road between Osborne Road and Dewey Road near the Barrow County line. Students living southeast of U.S. 78 currently going to Rocky Branch Elementary School will continue to attend that school. The majority of students on that side of U.S. 78 now going to Malcom Bridge Elementary will continue to attend that school as well. Up to 52 students now attending Malcolm Bridge Elementary, however, will be moved to Rocky Branch Elementary School to equalize the size of the student bodies at the three schools. At that meeting on Oct. 10, the parents of these moved children were outspoken in opposing the plan. Rising fifth graders will have the option of staying at their current school if their parents provide the transportation. 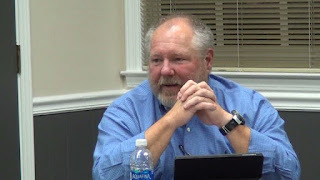 At the Board’s work session last week, Board Chairman Tom Odom as well as Bagley and Burgess had indicated their support for the plan put forward by the administration of the school system. 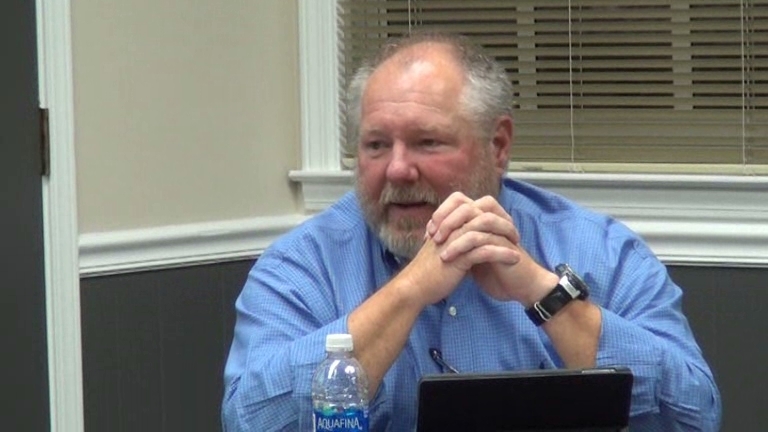 In their comments at the meeting tonight, Bagley, Burgess and Parrish referenced the issues raised by parents at that Oct. 10 Listening Session held at North Oconee High School. Parrish said “I’m a people pleaser” and that her inclination after the Listening Session was to go in the direction advocated by the parents, who were asking that their children not be moved from Malcom Bridge Elementary to Rocky Branch Elementary. 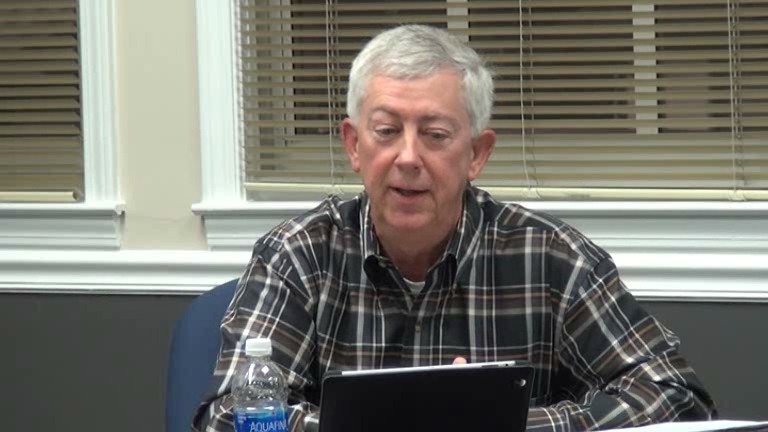 Burgess said he was particularly sensitive to two issues raised by the parents: traffic on Rocky Branch Road and Malcom Bridge Road and after school programs. 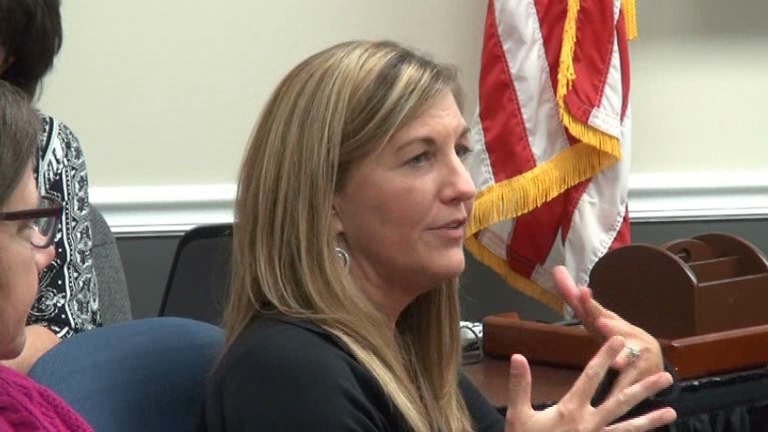 Burgess said traffic issues should be addressed by the Board of Commissioners. He said he hopes the School System will replicate at Rocky Branch the after school program at Malcom Bridge that the parents said was important to them. The video below is of entire meeting of the Board of Education, held in the Superintendent Building in Watkinsville. The Board took up the redistricting plan at 34:28 in the video. OCO: BOE 11 13 17 from Lee Becker on Vimeo. The 142 signatures on the petition handed to Dr Branch on October 10th at the Listening Session and the 11 speakers that night, along with the 70+ comments on their website, and countless emails sent by parents are all examples of protest. A parent was present last night. They cannot honestly say there was no protest. They say in this video that traffic is the responsibility of the Board of Commissioners. It’s disheartening that our school Board has so little concern for the safety of our children that they disregard the issues and shift responsibility to a different source. I am utterly appalled. Their original focus was to evenly distribute the population. MBES is going to be under capacity by more than 100 students when Dove Creek opens. Moving 52 children that live on Mars Hill and Rocky Branch Rd is unnecessary as MBES has capacity for them. It is beyond me that the Board decided it was fine to move them regardless rather than waiting until a traffic signal could be installed to make dangerous intersections safer. Their actions show a complete lack of concern for our children.